Current 6th, 7th and 8th grade students, come learn the science behind climate change and technology and math behind forecasting the weather! $60 and lunch will be provided. 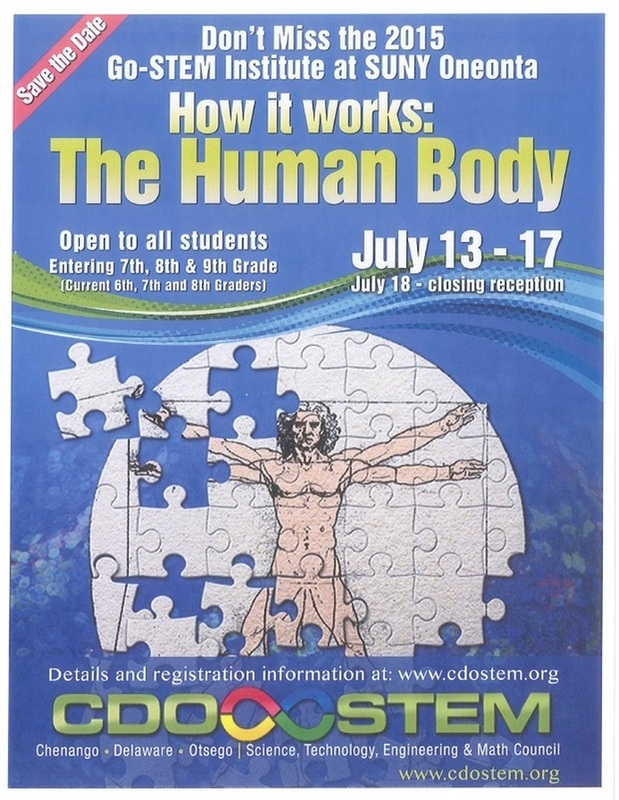 The 2015 GoSTEM Summer Institute will focus on the theme How it Works - The Human Body. The Institute is open to upcoming 7th, 8th, and 9th grade students who want to learn about the anatomy and physiology of the human body using the latest technological methods. Body systems covered will include the skeletal, muscular, nervous, cardiovascular, and respiratory. Students will participate in designing, conducting, interpreting, and discussing simple experiments on those body systems. The students will also have the opportunity to learn about the use of 3-D printing to create human organs and to interact with members of the medical community.